Sergio Parisse is a renowned rugby player who has already shown his captaincy skills for French team that was named as Stade Francais. He is currently the existing captain of the national rugby team of Italy. There are many good players in the rugby team across the world and Sergio Parisse is one amongst them as he plays exceptionally well and stands up for his team. Nick Mallett chose to bring Sergio Parisse as a replacement for Marco Bortolami so as to bring a new chapter in the Italian rugby history as the player has been of the best performer in the campaign that was held last year. The rugby player, who is currently 32, has still managed to remain as a strong player in the Italian rugby team. It is not clear on how long he would continue to play and it will certainly not be easy for Italians to cope with his news of retirement. There is a big problem in the corridors of power in Italian rugby – the playing staff is not entirely happy with decision makers in the federation while the suits are not happy with the way the team has performed in recent events – leading to almost an all out war between the two in the last couple of weeks. 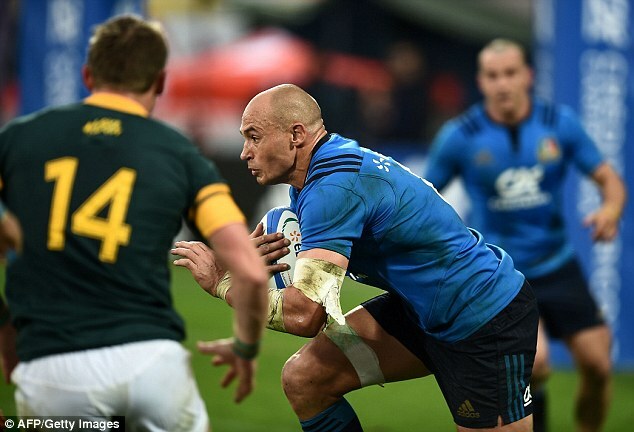 And Italian skipper Sergio Parisse has come out publicly in order to throw some sense into the matter. The extraordinary events were rolled into motion first when the president of the Italian Rugby Federation or the FIR, Alfredo Gavazzi labelled the players in the team as pensioners for the performance they had put in recent tournaments they had taken part in. The team had slumped to their worst position in the official world rankings after their dismal display in the Six Nations Championships, dropping down to 15th. This means that they are no longer seen as a part of the elite six of European Rugby after Georgia surpassed them to take over in 14th place.